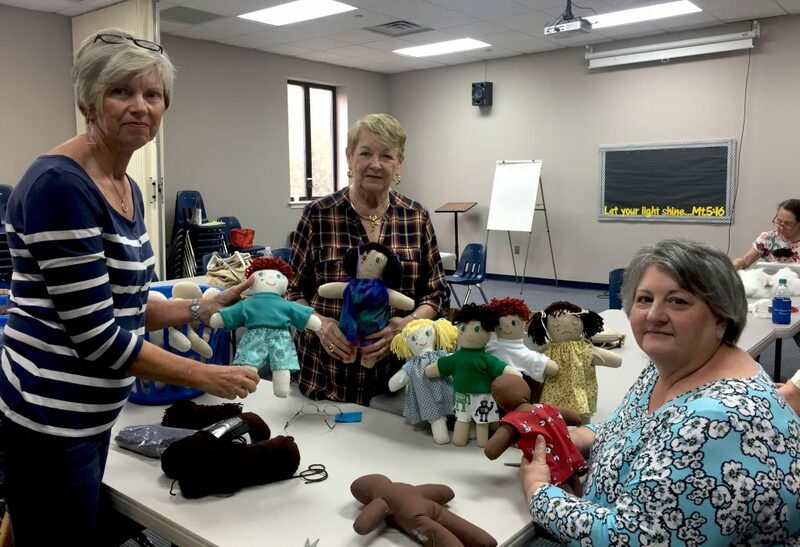 Members meet weekly to make Tender Loving Care handmade therapy dolls that are distributed to children in area hospitals and also the Child Advocacy Center. The dolls were designed by a counselor and feature a happy face on one side and a sad face on the other side. 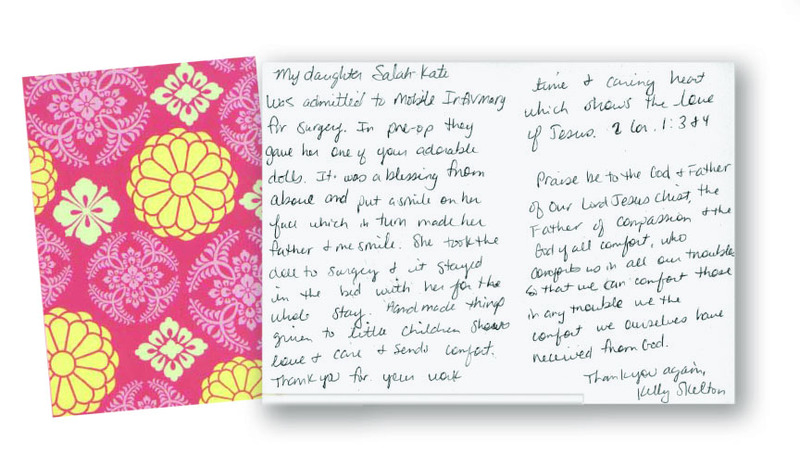 They provide comfort to children that have experienced a traumatic event or hospital stay. 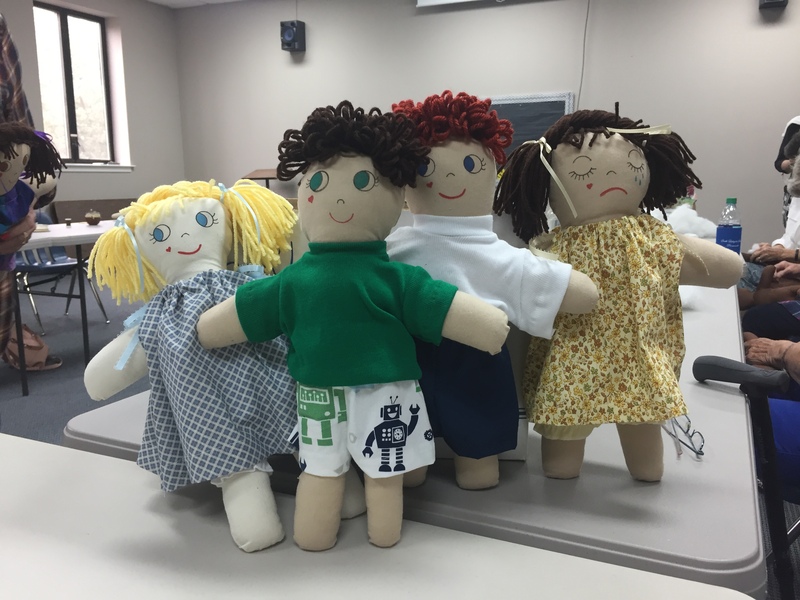 Tender Loving Care Dolls are created by members each week. During the process the doll bodies are stuffed with fiberfill, stitched closed, faces are painted, hair is added and they are clothed in colorful outfits. There are jobs available for any level of skill. Dolls are created in three colors, have various hair colors and clothed in colorful outfits. A hang tag added to each doll identifies Assistance League of Mobile as the creator of the doll. 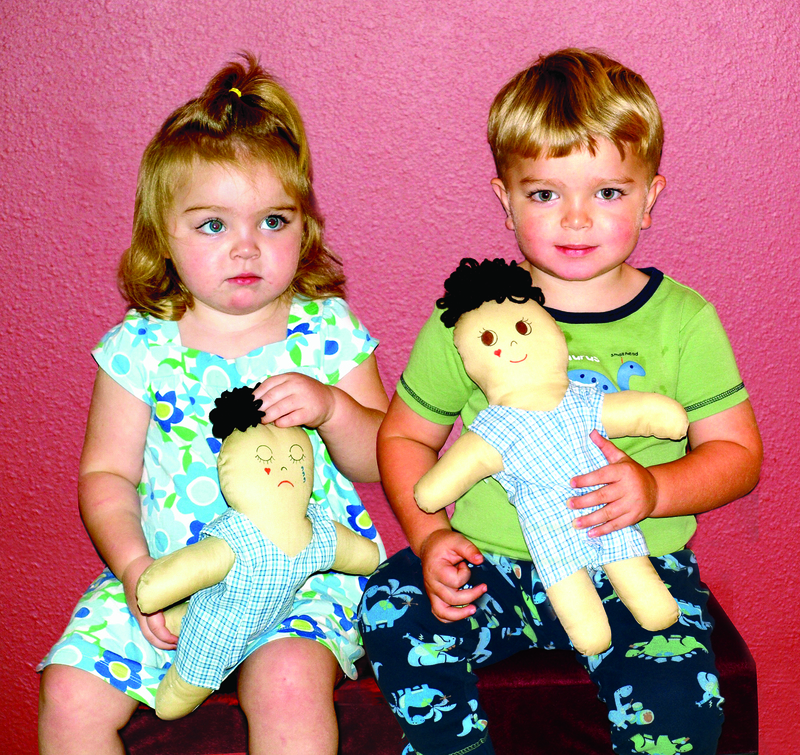 Children love the handmade Tender Loving Care dolls. The dolls provide comfort during difficult situations. My daughter was admitted to Mobile Infirmary for surgery. In pre-op they gave her one of your adorable dolls. It was a blessing from above and put a smile on her face which in turn made her father and me smile. She took the doll to surgery and it stayed in the bed with her for the whole stay. Handmade things given to little children show love and care and sends comfort. Thank you for your work, time and caring heart which shows the love of Jesus – 2. Cor. 1:3 &4. Praise be to the God and Father of our Lord Jesus Christ, the Father of compassion and the God of all comfort, who comforts us in all our troubles so that we can comfort those in any trouble.